A revolution in automotive performance, design and collaboration is revealed with the Pininfarina Battista – the world’s first luxury electric hyper performance GT. Built in Italy, the Battista will be the most powerful Italian-made car of all time. When it arrives in 2020 it will deliver a level of performance that is unachievable today in any road-legal sports car featuring internal combustion engine technology. Faster than a current Formula 1 race car in its 0 -100 km/h sub-two second sprint, and with 1,900 hp and 2,300 Nm torque to hand, Battista will combine extreme engineering and technology in a zero emissions package. 2020 also marks the 90th anniversary of the legendary Pininfarina SpA design house, which has taken the design brief for the Battista and produced a classic Pininfarina: an elegant form that seamlessly integrates the car’s innovative engineering solutions that will support unprecedented performance. It is the same design principle of form and function in harmony as seen in classic Pininfarina cars reaching back to the Cisitalia 202 of 1947 and through more than 60 Ferraris, with the latest launched this decade. The Pininfarina Battista’s place in automotive history is defined by its name. It is the first in a future range of purely electric, zero-emissions, luxury cars solely branded Pininfarina, delivering on a long-held family dream that has been carried by founder, Battista, his son Sergio and current Pininfarina SpA Chairman. The ingredients for success reach further than statistics and history. A group of automotive experts, the like of which have never been assembled before within a new car company, are working for Automobili Pininfarina with Pininfarina SpA and an enviable list of technology partners headed by the likes of Rimac and Pirelli. 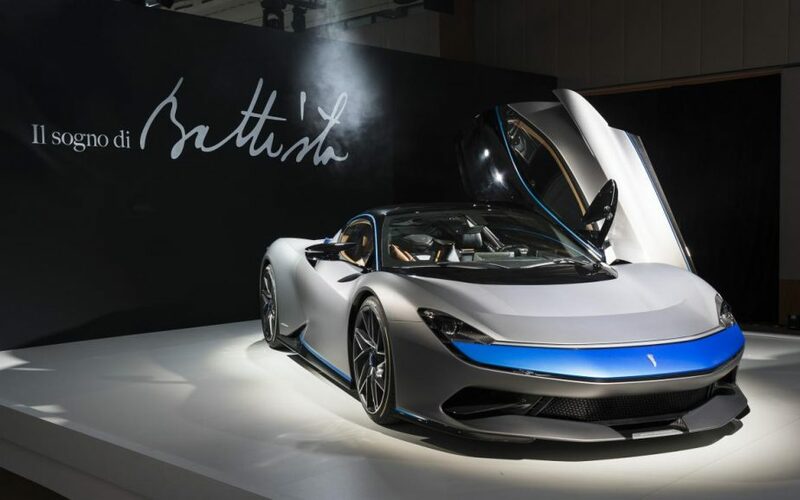 The result is that the Battista will arrive next year with expertise and inspiration from a team that have been integral to the launches of cars such as the Bugatti Veyron and Chiron, Ferrari Sergio, Lamborghini Urus, McLaren P1, Mercedes AMG-Project One, Pagani Zonda and Porsche Mission E.
The resulting hypercar appeals to the world’s automotive connoisseurs from a purely technical and aesthetic standpoint, and also because of its rarity. No more than 150 Battistas will be hand-crafted in Italy and allocated equally between the regions of North America, Europe and Middle East/Asia. Exceptional customer service will be delivered with plans for opportunities to fully personalise each car at Pininfarina SpA’s Cambiano headquarters, and for the car to be made available through some of the world’s best luxury car retail specialists, from Los Angeles to London to Tokyo. The World’s First Pure Electric Luxury Hypercar appeared first on SABC News – Breaking news, special reports, world, business, sport coverage of all South African current events. Africa's news leader..